The Sea Palling with Waxham Trust is a small Charity established in 1911 and originally known as the Sea Palling Poor's Land / Allotment. 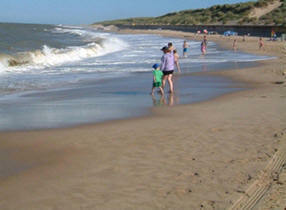 It is now known as the Sea Palling with Waxham Community Trust. Details may be found on the Charity Commission Website. Its registered number is 209626. The Trust has as one of objects the relief of those resident in the Villages who are in need, hardship or distress. The relief may be provided by making grants of money to them, or by providing or paying for goods, services or facilities for them, or by making grants of money to other persons or bodies who provide goods, services or facilities to those in need. They are also able to help students purchase books for their studies. The Trustees are obliged to use the money for that which our Social Services and the NHS do not provide. If you are in need of assistance, or know of someone who may be, please contact a Trustee by letter or telephone. There is no age limit and all requests are treated in the strictest confidence and at the complete discretion of the Trustees. Although the income received by the Trust may be used initially for the reliesf of hardship among individuals or groups of residents regardless of age and status, the Scheme of 2002 enables the Trust to widen its use of income for community projects such as the Playing Field, the Allotments and the Diamond Wood and Wildlife Project (all on Trust land) and other community projects within the parish.